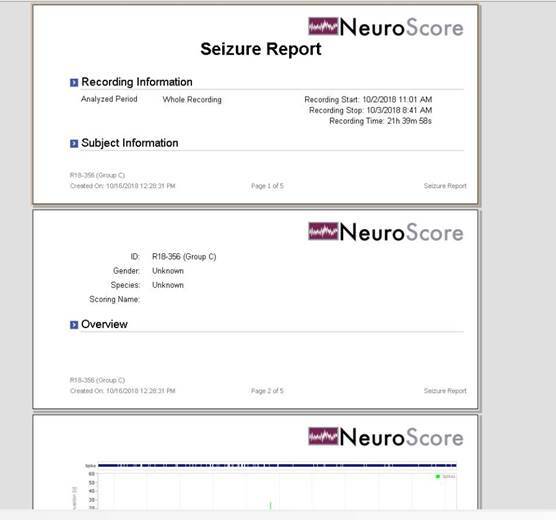 When using the reporting feature in Neuroscore to generate a report, NeuroScore uses a third party report builder called Active Report. By default, the paper size setting will be set to the size of the default printer. Often the default printer will have a standard Letter or 8.5 x 11 paper size, but in the event that it is set to a different size the result will be different page sizing in the report output. Go to the properties of the default printer on the PC and check the default paper size. Make sure it is set to the standard Letter. Enable the checkbox in Neuroscore in the General tab of the Tools – Options menu to set a specific paper size. This should override the default printer setting.